President Obama proposes to spend $1.15 trillion in discretionary spending in fiscal year 2016, an increase of 2 percent over the 2015 enacted level. 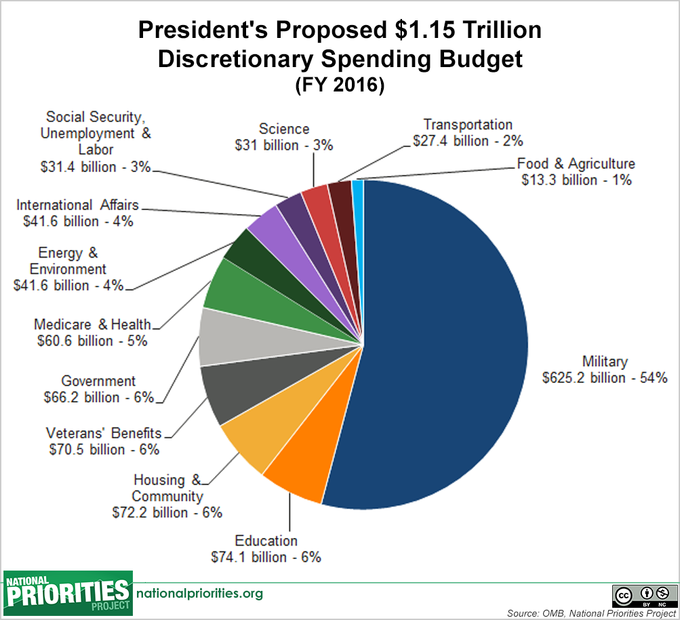 Discretionary spending is the portion of the federal budget that Congress determines annually in the appropriations process and accounts for 28 percent of all spending in the president’s proposed 2016 budget. It does not include earned benefits programs that people pay into like Social Security and Medicare. This chart shows how the president would allocate that spending.